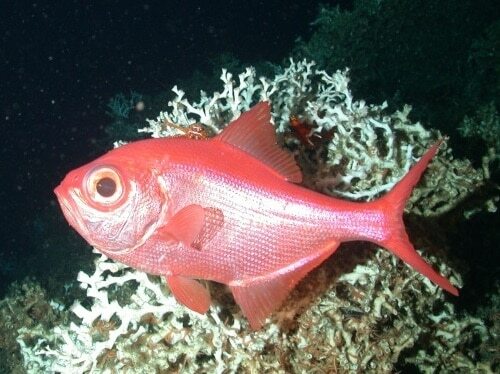 Abright red deepwater fish also known as imperador, red bream, and Tasmanian snapper. 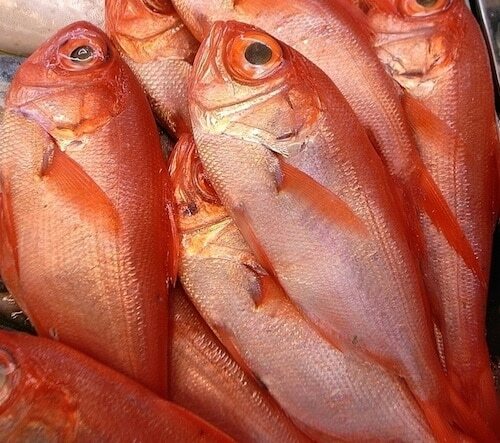 Alfonsino have a slightly sweet flavor and a wonderful richness, owing to the fact that they live in very deep water. Fillets cook up firm flaky. Whole fish average 2.5 to 4 lbs. Amazing for sushi or other raw applications, Alfonsino cooks quickly, so keep it simple. If you’re lucky enough to feature Alfonsino, let your customers know this delicious fish is a real treat they should definitely order! If you can get your hands on some whole Alfonsino, their bright red color will add an amazing pop of color to your case.